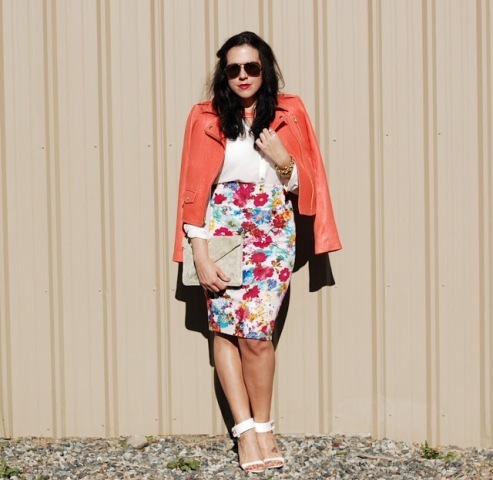 Every fashionista should have a floral skirt for the spring days, so if you don’t have it yet, just pick up a perfect one and start to combine it with other pieces of clothes, accessories and shoes. 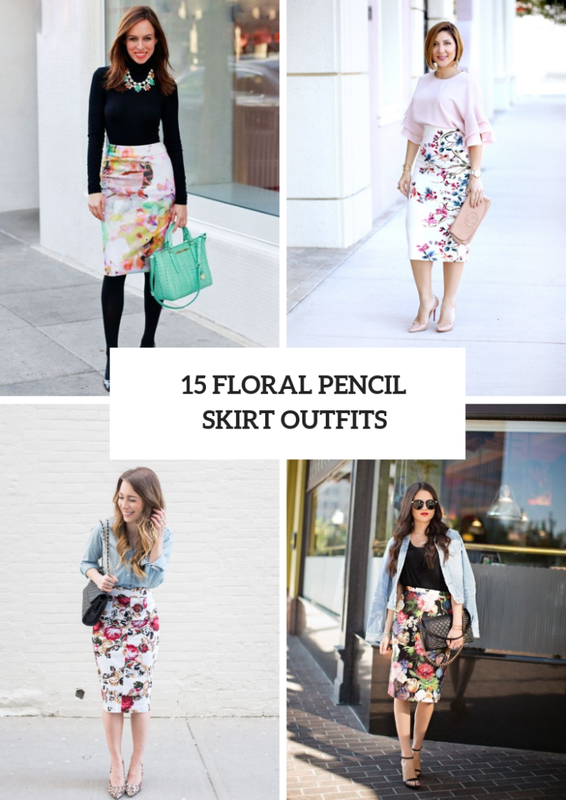 And today I offer you to focus on gorgeous and so feminine floral pencil skirts. You can choose any prints you wanna. For example, for creating a flirty and funny look you can take a skirt with small flowers and combine it with a loose blouse or button down shirt. But for an elegant outfit you can mix a pencil skirt with a flowers on the hem with a sleeveless top and high heels. Now just scroll down to see all ideas. For cold early spring days you can take a black turtleneck and pair it with a black tights, black leather pumps, a necklace, a floral knee-length pencil skirt and a mint green bag. Or you can combine a red cropped sweater with a golden chain necklace, sunglasses, a black small bag, a floral high-waisted pencil skirt and black ankle strap shoes. For creating a more chic and stylish looks you can try to repeat a combination with a pale pink ruffled blouse, a high-waisted midi skirt, a pale pink leather clutch and beige pumps. Or mix a white sleeveless top with a bow with a mini bag, a navy blue pencil skirt with yellow and pale pink flowers and high heels. 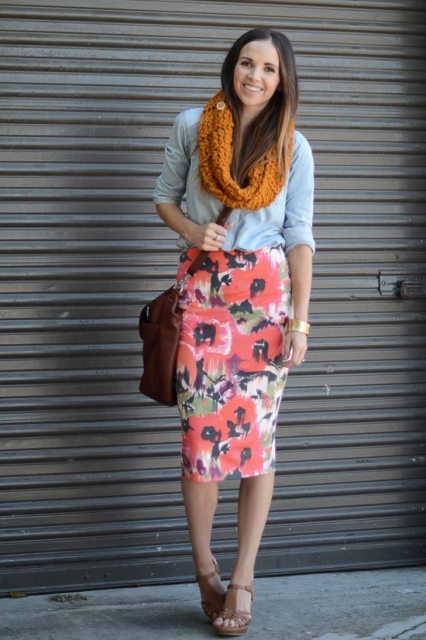 Don’t be afraid to mix various prints, sometimes it looks so adorable and fashionable! For example, you can take a white and black striped shirt and combine it with a yellow mini coat, a black clutch, black patent leather pumps and a white pencil skirt with cute small flowers.